Whenever your company is in need of new office furniture we are here to help. We carry brands such as Hon, Lorell and Bush. In the market for a new Printer or Copier? 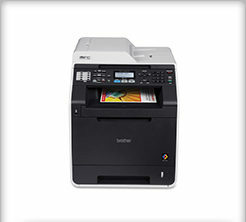 We carry a full line of printers, scanners and copiers. Most inks and toners can be delivered next day. We carry a wide variety of basic office supplies. Whether you need paper, pens or a new calendar for your desktop. We are here to help. Not finding what you need? Give us a call and we will help find the product to meet your needs. Search our online catalog of over 25,000 items. Free Delivery in our service areas: Williamsburg, Lower Florence counties also including the towns of Andrews and Manning S.C.